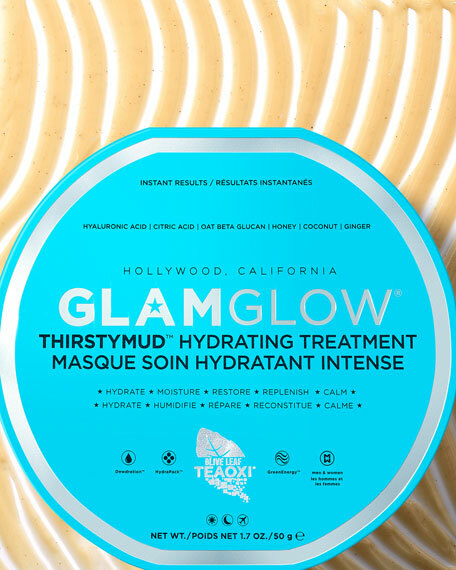 THIRSTYMUD uses the newest, most advanced and extreme hydration active technologies, providing deep instant extreme hydration for long, medium and short-term results. 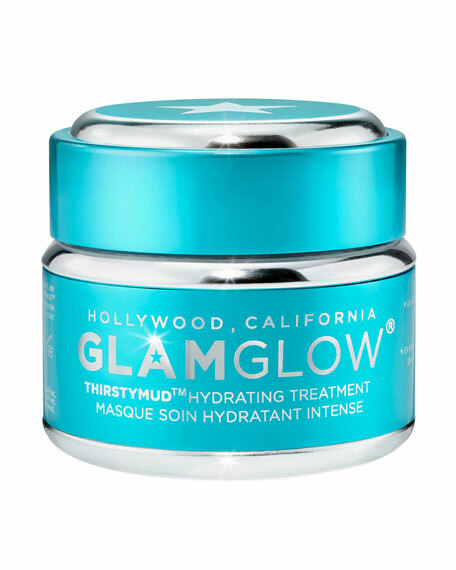 THIRSTYMUD hydrates, moisturizes, restores, replenishes and calms the skin. Designed for men and women of all ages, all skin types and even after shaving. • BOTANICAL OLIVE LEAF: Delivers naturally moisturizing linoleic acid. • HYALURONIC ACID AND CITRIC ACID: For deep hydration and a dewy look. • A BLEND OF ACTIVES FROM APPLES, OAT BETA GLUCAN, AND HYDRACLAY: To help retain natural moisture in the skin. 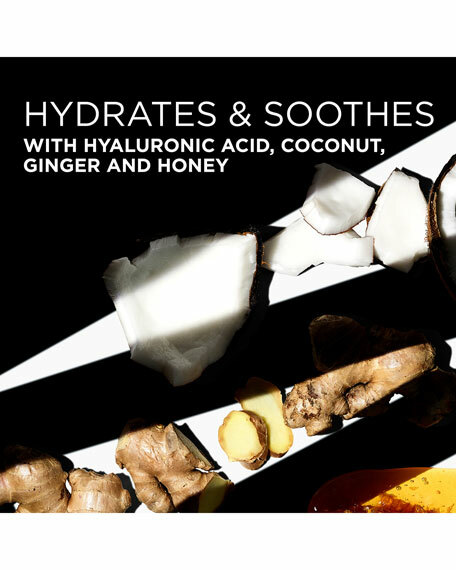 • ORANGE BLOSSOM HONEY, COCONUT, AND GINGER ROOT: To boost radiance and condition the skin. • Apply an even layer to clean skin 2-3 times per week (face, neck & décolleté). • Leave on for 10-20 minutes, wipe off excess and/or massage into skin. • Perfect for day, night and in-flight. A revolutionary jelly-to-milk cleansing balm that instantly melts away face makeup and deeply cleanses, leaving the skin purified and hydrated.